At Marquis Dental Group in downtown Saskatoon, we strive to ensure your dental prosthesis (dentures) closely resemble your natural teeth. A denture is a removable dental prosthesis that replaces missing teeth. Dentures may help enhance your smile and facial tissues, and improve your chewing, speech and confidence. You may need dentures if you have extensive tooth loss. A denture is a removable appliance for missing teeth. Our Saskatoon dentists will facilitate the design and construction of your dental prosthesis so that they fit. 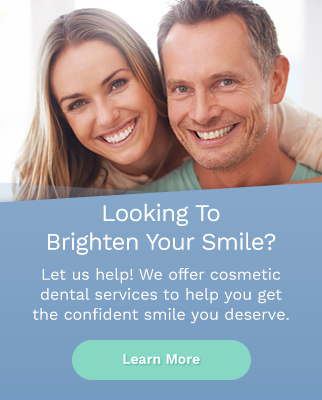 We strive to ensure that your dentures are comfortable and functional. Dentures may help enhance your smile and facial tissues, and improve your chewing, speech and confidence. It's normal to experience increased saliva flow, some soreness, and possible speech and chewing difficulty, however this will subside as your muscles and tissues get used to the new dentures. You will be given care instructions for your new dentures. Complete dentures: recommended for when all teeth are missing. Conventional dentures are made after all remaining teeth are removed and when the gum tissue surrounding the removed teeth has healed. This can take four to six weeks. During this time, the patient will have no temporary denture in place. Immediate dentures are placed immediately after all remaining teeth are removed, thus allowing the patient to have teeth during the healing process. Immediate dentures will often need to be relined several times due to the shrinkage that takes place in the tissues immediately after the removal of the teeth. Partial dentures: recommended for when some natural teeth remain. A partial denture fills in the spaces created by missing teeth and also prevents other teeth from shifting and tilting over time. The use of dental implants can greatly enhance the stability and retention of conventional complete and partial dentures.